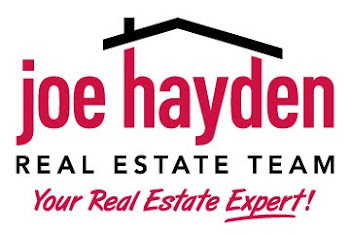 Louisville, Kentucky Halloween Events | Louisville Real Estate with the Joe Hayden Real Estate Team - Your Real Estate Experts! Louisville, Kentucky is a city that loves to be scared. Halloween is a grandiose event for Louisvillians, and the city celebrates the entire month of October. By far the scariest and most well-known Louisville haunt is Waverly Hills Sanatorium. The former TB hospital has been featured on the World’s Scariest Places and numerous other television shows and lists. Waverly Hills is open throughout the year for tours and investigations, which are usually booked well in advance. The owners open the sanatorium in late September through October for a haunted house. There are no actors or costumed ghosts at Waverly Hills, the paranormal activity is real and screams, cries, and shadows are often witnessed by visitors. Old Louisville is America’s largest Victorian neighborhood and with homes dating back to the 1850’s, it’s no wonder this neighborhood is popular during Halloween! The 7th Annual Victorian Ghost Walk will take place in Old Louisville for four nights on October 28-31st. Tours will be every 15 minutes, departing from the Information Center, and will last 90 minutes. Visitors can expect some scary ghost stories told by Old Louisville residents and plenty of spooky costumed characters. With the Victorian homes dotting the streets and residents all dressed in period costumes, you will feel as if you are stepping back in time to the 1890’s. The Haunted Hotel is the longest running haunted house in the Louisville area. This is not your typically hotel – as most guests leave within 15 minutes of staying! Located in an old house on 4th Street, the hallways and rooms are small and narrow, meaning an intimate and frightening haunt, complete with terrifying costumed actors. The tour starts with an elevator ride like no other, where riders are chased out with a chainsaw into the backyard. Louisville doesn’t just offer scary events for Halloween, there are plenty of family friendly activities to enjoy. The World’s Largest Halloween Party at the Louisville Zoo is a great event for children, with costumed characters, storybook scenes, and trick or treating fun. Caulfield’s Halloween Parade strolls down Baxter Avenue starting at Mid City Mall on October 15th. This spooky parade starts at 7 PM and features tons of scary floats, ghosts, ghouls, and costumed creepers. Caulfield’s Halloween Parade is free and great fun for everyone. Louisville is a city that loves a good time and a good scare – Halloween is always a big event in the city and there are tons of activities for all ages. For more information about these and other events, please visit Homes in Louisville.